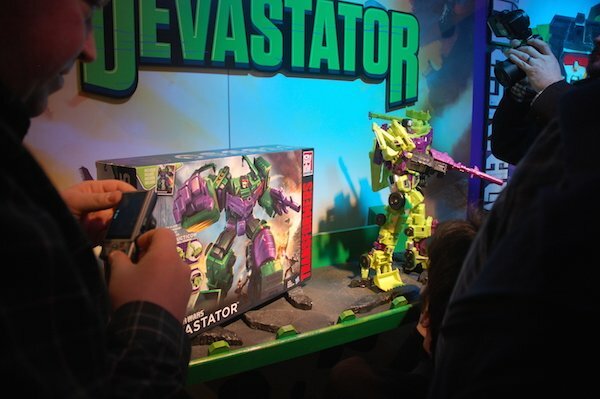 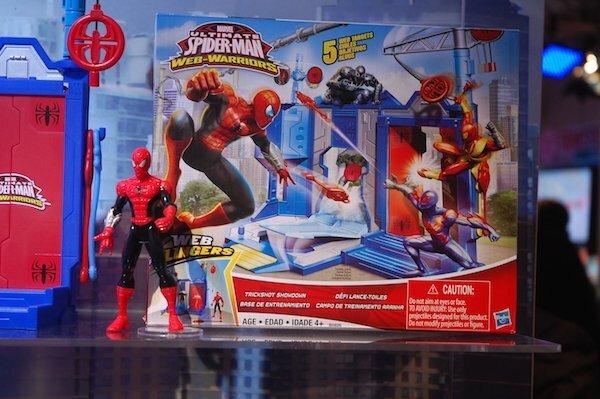 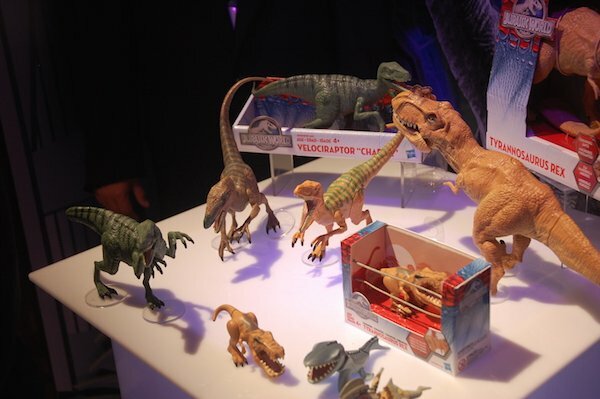 As part of the 2015 Toy Fair, which kicked off in New York City this weekend, Hasbro previewed a ton of its new movie- and TV-pegged toy lines for the press. 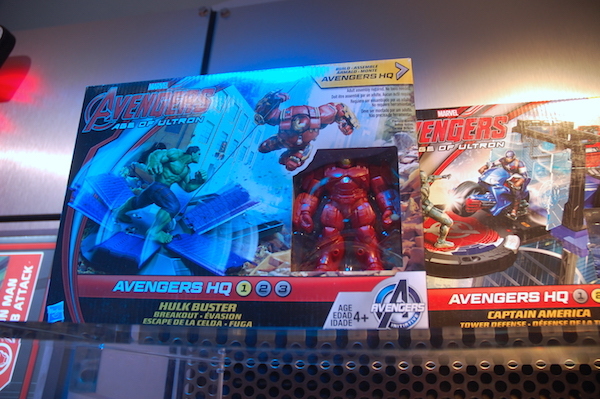 Among them were lines for Avengers 2, Jurassic World, Star Wars (though unfortunately no Episode 7 products) and Transformers. 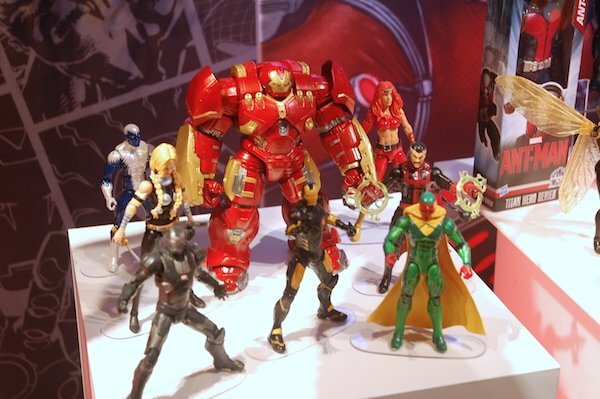 We were on hand to get an up-close look at some of the coolest toys coming to shelves this year, and we snapped a ton of pics for you! 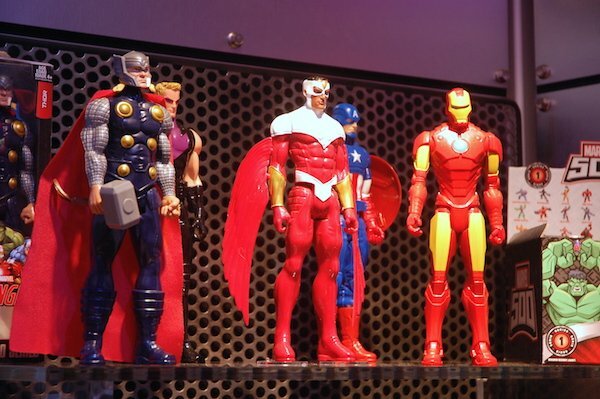 Obviously, Avengers 2 was the main focal point for Hasbro’s Marvel lines. 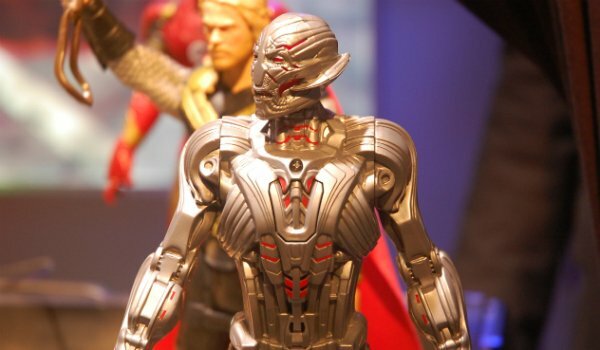 What we’ve learned from the various sets coming out later this year is that there’s going to be a major showdown with Ultron at Stark Tower, which is now a headquarters for The Avengers. 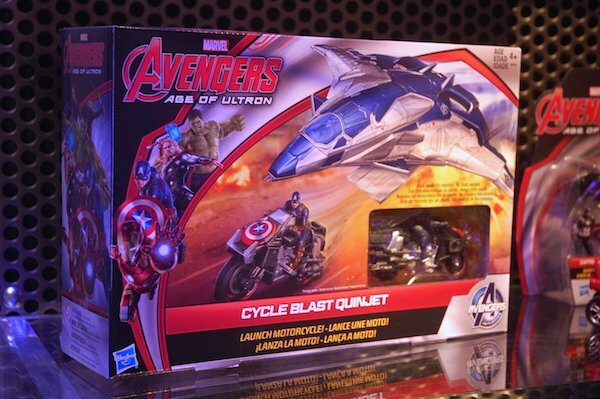 In the set titled "Captain America: Tower Defense," the star-spangled Avenger is seen charging at Ultron on a motorcycle. 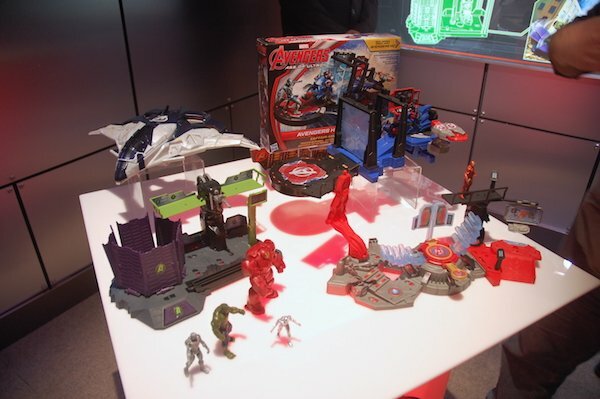 Could this scene take place as the villainous A.I. 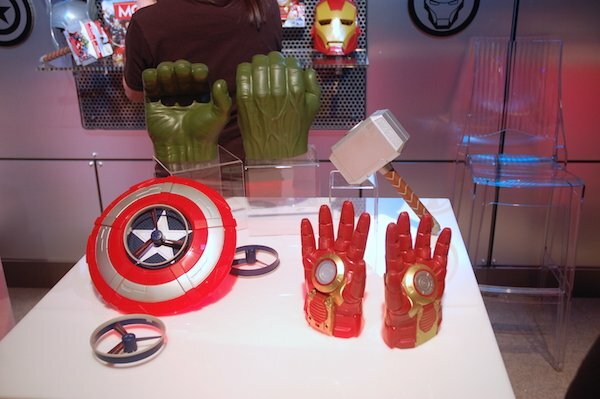 first shambles out to wreck the Avengers’ shindig? 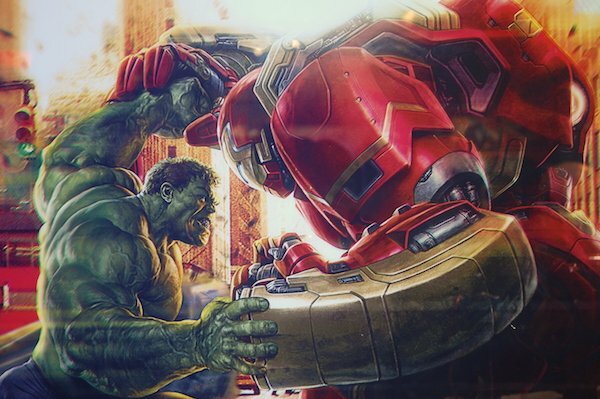 Another set called "Hulkbuster: Breakout" previews the epic showdown between Mark Ruffalo’s Hulk and Robert Downey Jr.’s Hulkbuster-suited Iron Man. 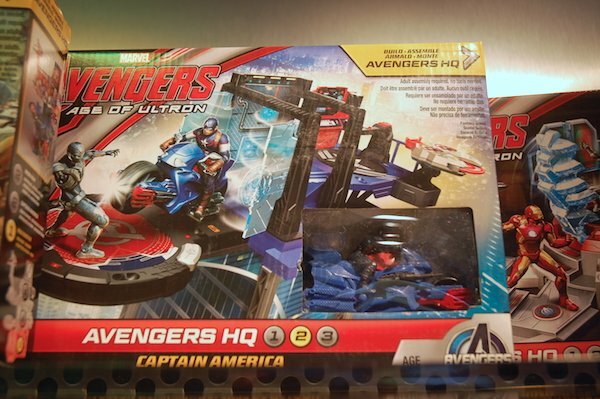 Although here it seems our not-so jolly green giant is breaking out of a cage, after which Stark attempts to bust that Hulk. 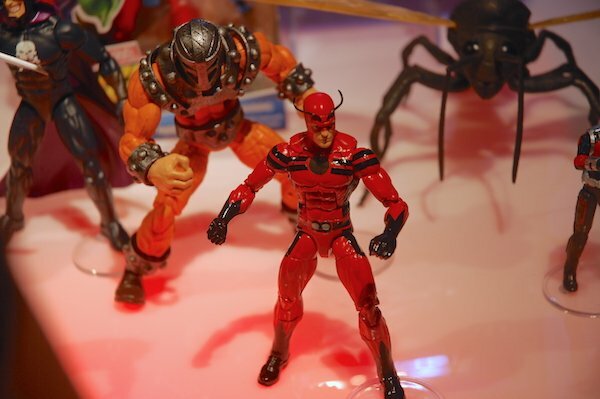 Elsewhere, Ant-Man, starring Paul Rudd and Michael Douglas, was another major focus of the Hasbro Marvel preview. 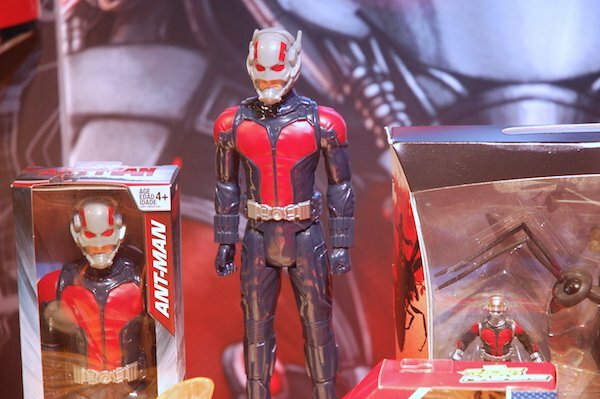 One of the coolest moments we saw in the trailer was Scott Lang (Rudd) shrinking down to ride his ant buddy, and now we can all enjoy this scene in toy form. 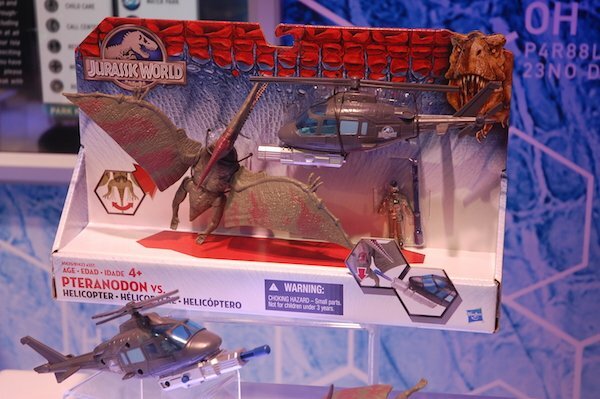 This set comes in two sizes: one large enough for us to fly around our homes, and the other that’s more appropriately sized. 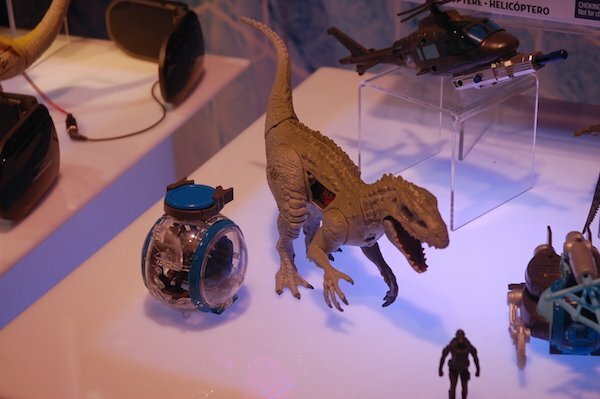 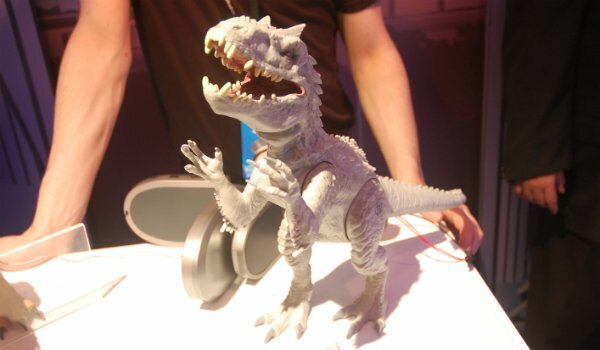 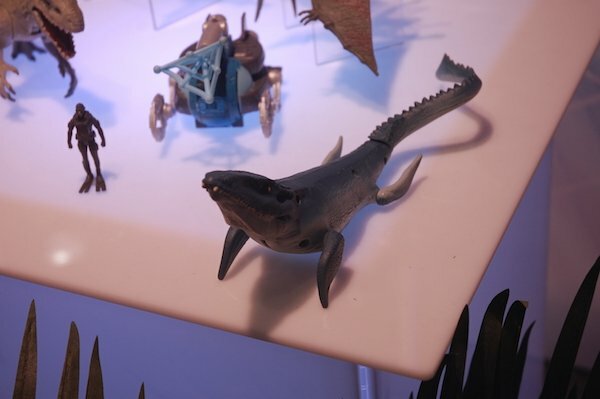 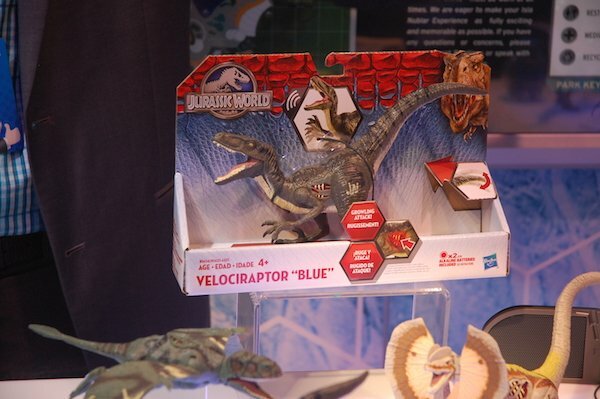 Earlier this week, we saw a look at the new hybrid dinosaur baddie coming to terrorize Jurassic World, the Indominus Rex, and she was certainly on hand at the Toy Fair. 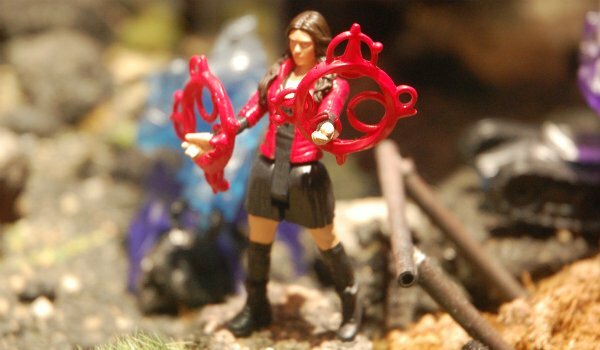 But she was not alone. 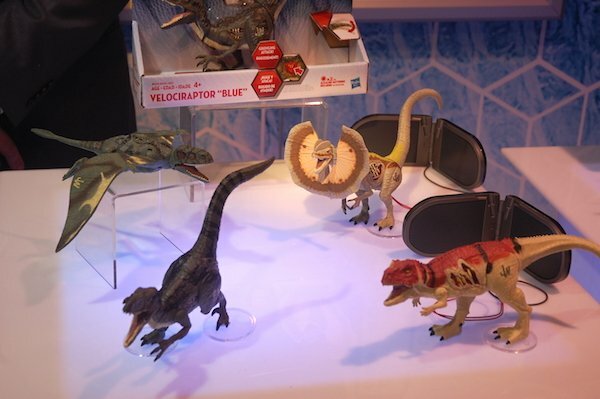 Also on display were new figures for the famous T-rex, a pterodactyl-looking pteranodon battling a helicopter, velociraptor, and new dinos like that giant sea creature we see leaping out of the water in the Jurassic World trailer. 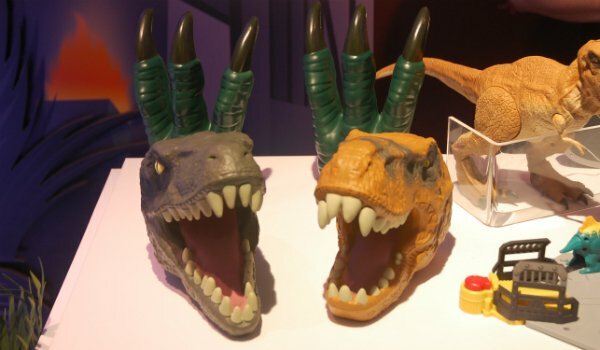 In addition to figures, Hasbro has created a few additional items they hope kids will get behind, such as raptor heads and hands turned into gloves. 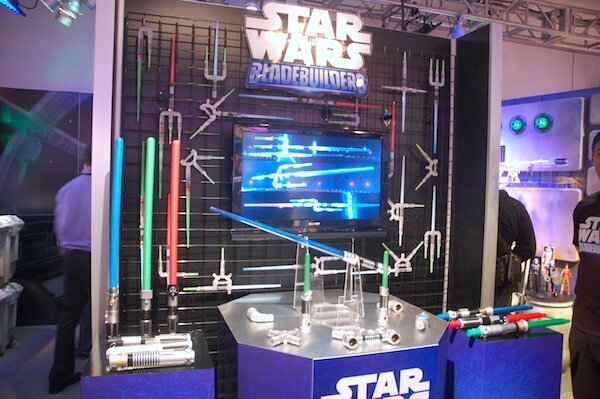 While there were no Episode 7-related toys on display at the Hasbro preview, there were still a few cool figures and lightsabers to gawk over, as well as some new Transformers pieces. 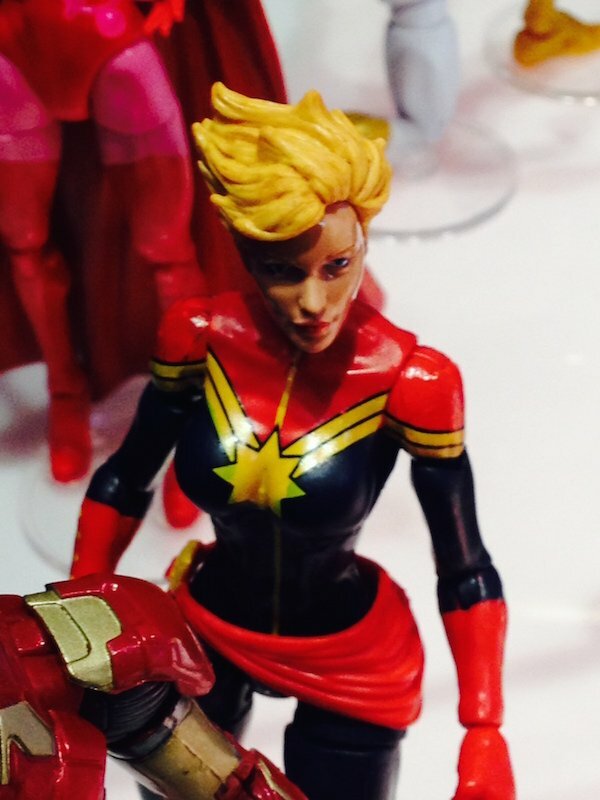 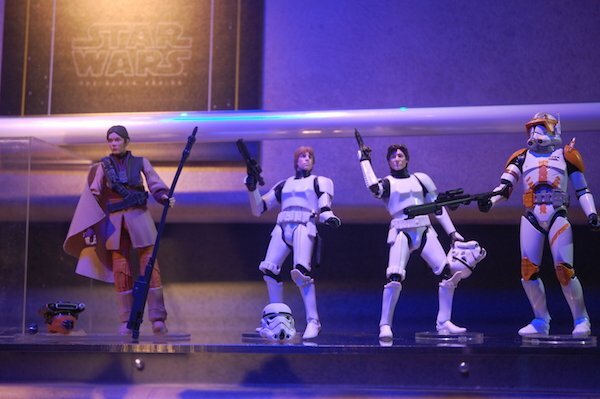 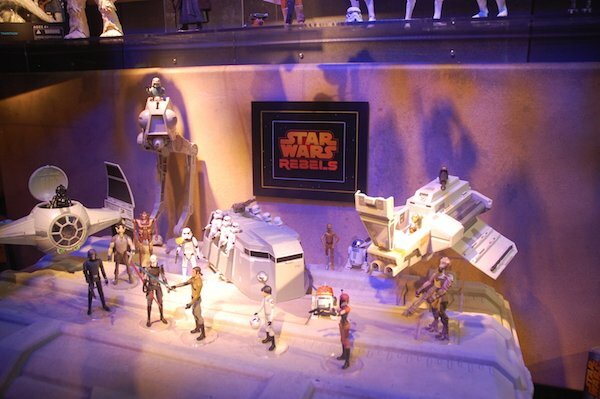 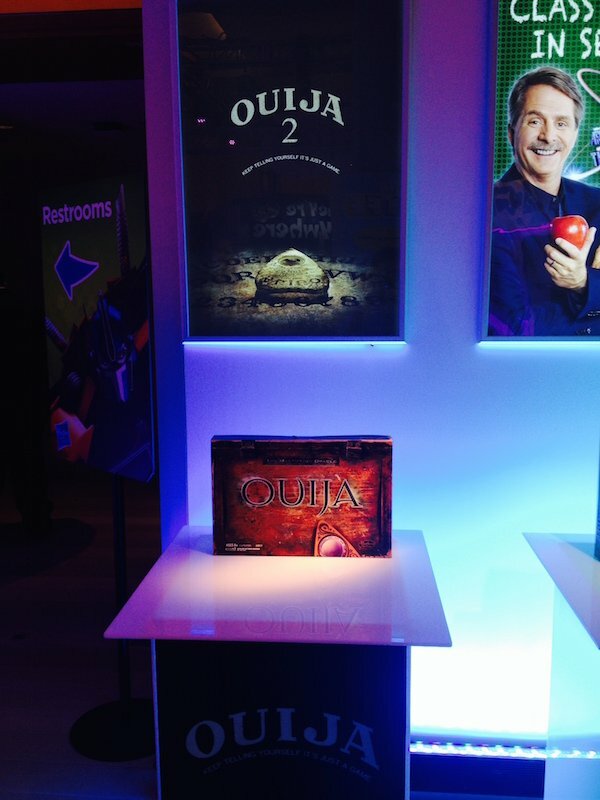 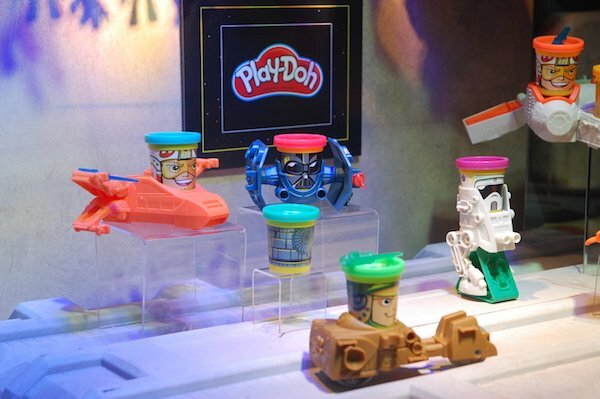 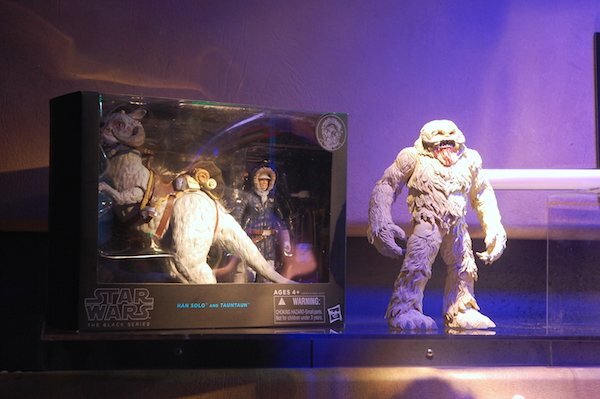 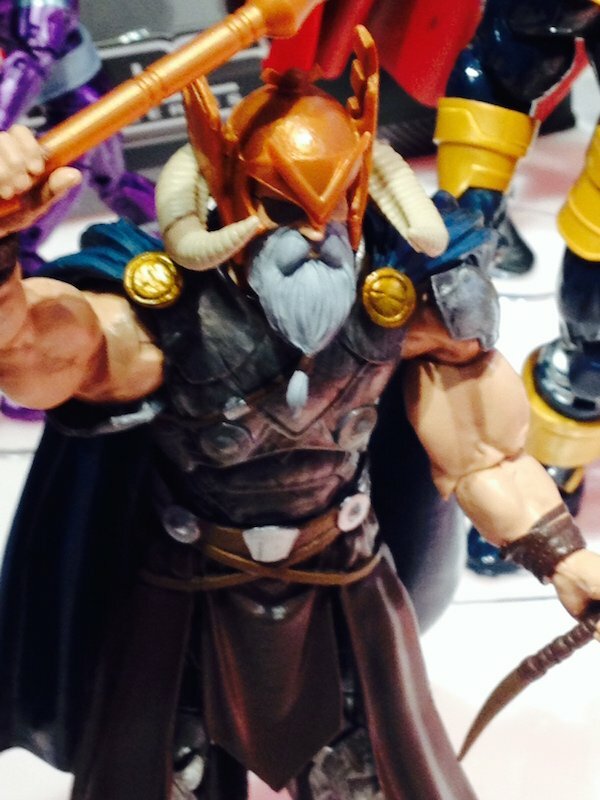 Click ahead to see some other highlights from the Hasbro Toy Fair Preview.